Have you seen our Airstream Café? We are often being asked “where can we see your operations?” or “is there a Virgin Hill Café?” so we regularly debated about whether we needed a bricks and mortar. 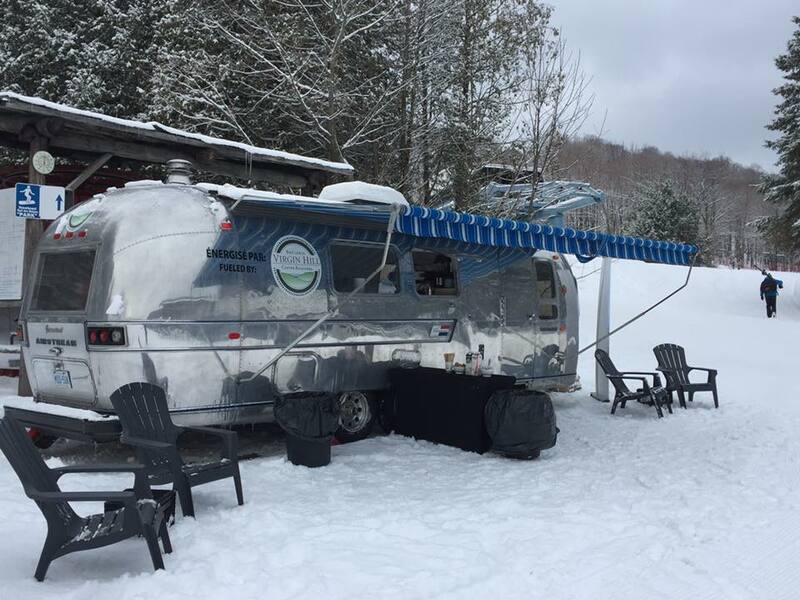 This is how the Airstream Café was born - we are bringing our operations out to the public. We will be at events (watch our Facebook page for dates) serving our freshly roasted coffee throughout the year. The story starts about a year ago – we were on the lookout for an Airstream. We finally found the perfect Airstream, stripped of most of its parts, in Toronto. Matthew and Martin made the drive and picked it up on the spot, hauling it back to our brulerie. Then it kind of hit us – what do we do with this thing?! We found a home for it, found a contractor and got to work lovingly refurbishing this beaut into a café. It’s been a long five months but we’ve done it and her launch was at the Hoot at Owl’s Head. Inside we’ve got all you would find in a café – fridges, counters, sinks and one good-lookin espresso machine. We’ve built a nook for seating with a beautiful live edge table and a banquette built by yours truly. 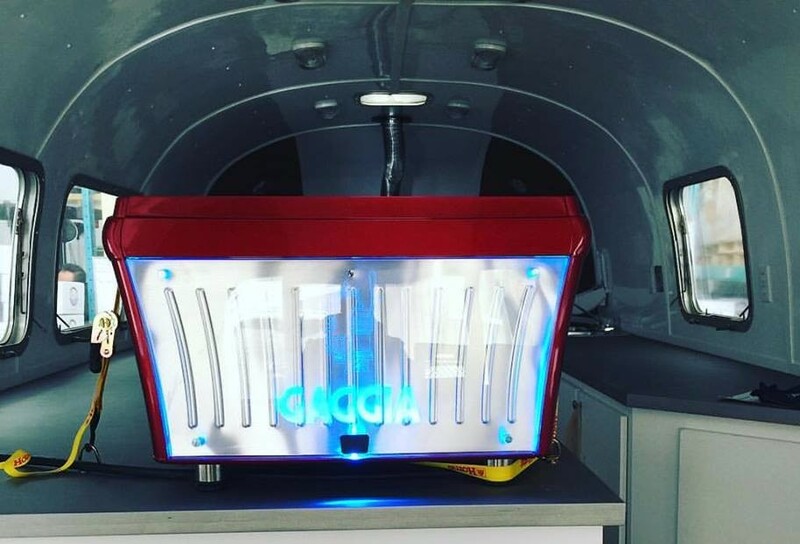 And of course our roaster at the back window, hopefully drawing people to the Airstream with its gorgeous smell! Matthew has just bought four Adirondack chairs for those who prefer to look at our polished exterior while sipping their java. We are just so excited about this thing – we think it’s going to do a great job spreading Virgin Hill happiness throughout the land! L'histoire de notre torréfacteur: de la Suisse à vous! The Story of our Roaster: From Switzerland to You! Virgin Hill Organic Fair Trade Coffee is HERE! Le café ÉQUITABLE & BIOLOGIQUE Virgin Hill est arrivé! Avez-vous vu notre «Airstream Café Mobile»? Copyright ©2019 Brûlerie Virgin Hill Coffee | Ecommerce Software by Shopify.